I know that pumpkin may sound like an odd ingredient to put into a chili recipe. 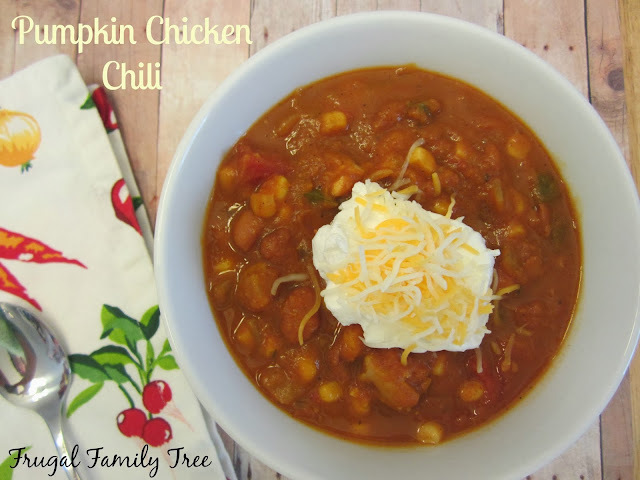 But this chili is perfect for a cold winter's night dinner, and certainly makes use of the stray can of pumpkin left over in the pantry. No worries of your chili tasting like pumpkin pie, it won't, it will be unusual though, and I mean that in the best way. 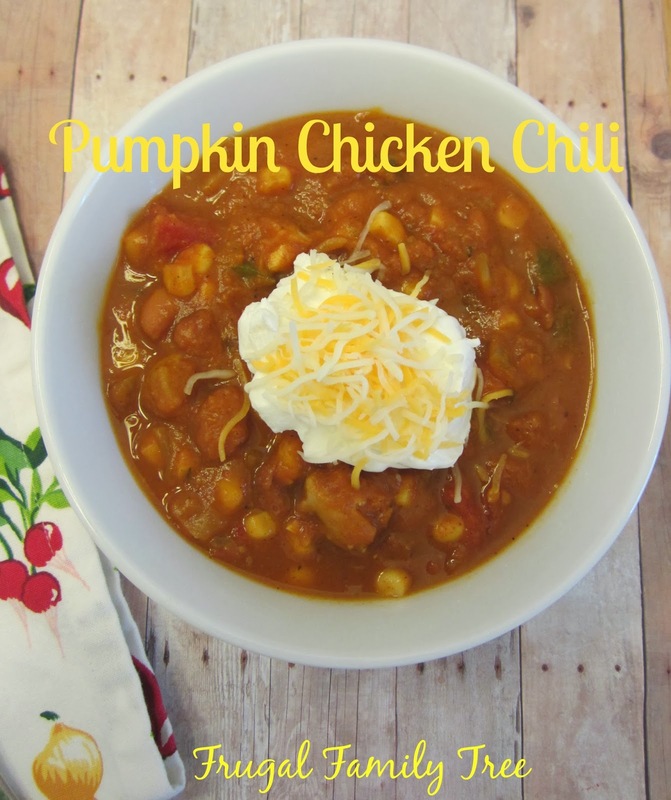 This is the first time I have made Pumpkin Chicken Chili, but it certainly won't be the last. My family loved it, and the next time I make it, I'll make a double batch, and freeze half for another dinner. I used chicken thigh meat instead of chicken breasts because I like the more flavorful dark meat. And it's less expensive, too. In a large pot, heat oil to medium heat. 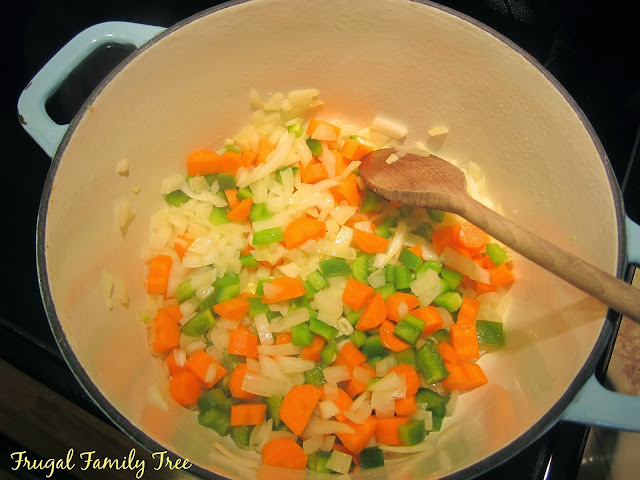 Saute onions, carrots, and bell pepper until veggies are softened, but not cooked through, about 8 minutes. Add the garlic, cumin, sage, Cajun Seasoning, and cinnamon, and cook for 2 minutes more. Add the cut-up chicken and brown the meat, but do not cook all the way through. Bring the chili to a full boil. 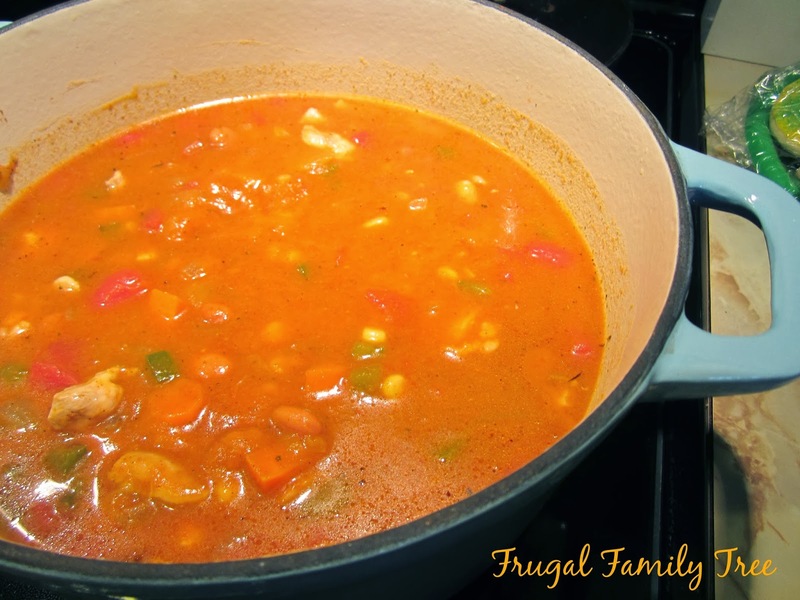 Reduce heat to medium-low, and simmer chili , stirring occasionally, for 45 minutes, or until veggies and chicken are cooked through. Top with sour cream and shredded cheese. I made my Copycat Red Lobster Cheddar Bay Biscuits, and they were perfect to go with the chili.